Description: Boye Yarn Accessories are dedicated to encouraging and supporting your creativity with high quality, fun to use products. 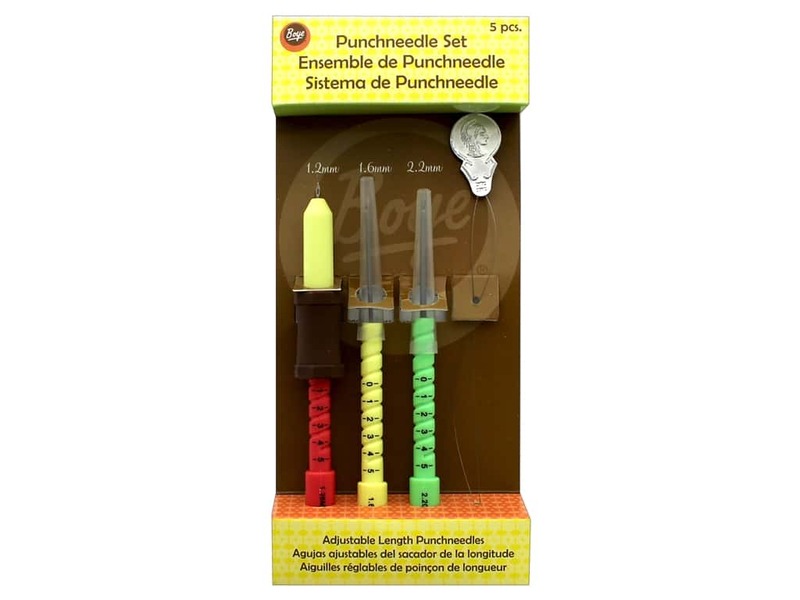 Punch Needle Embroidery Set- Use with fine, medium and thick thread, floss or yarn. Needle diameters are 1.2 mm, 1.6 mm and 2.2 mm. Lengths are adjustable and needle grip will lock desired length in place for consistent stitches. Includes 3 needles, needle grip, needle threader and sample flower pattern.